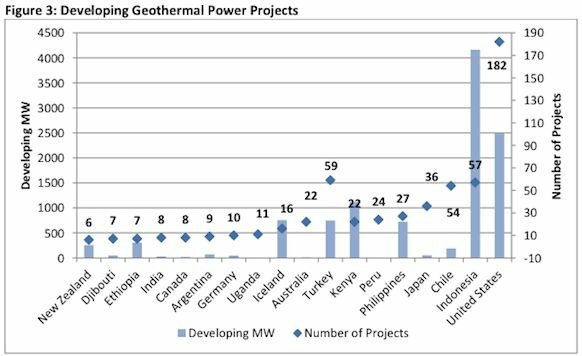 The Geothermal Energy Association, in its 2013 Geothermal Power: International Market Overview, said 70 countries are moving forward with nearly 700 projects. The group said that as of August 2013, 11,765 megawatts of geothermal capacity were on-line -- and 11,776 megawatts of new capacity were in the early stages of development or under construction. Geothermal is well regarded as a source of baseline energy, but has long struggled to grow due to the hit-or-miss nature (and thus high cost) of developing potential resources. “There are so many projects moving forward that just a year or two ago were ideas on paper. 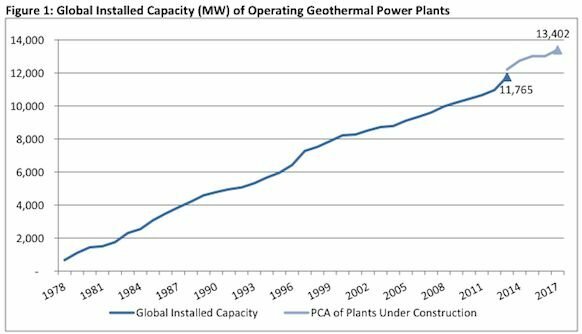 This demonstrates how quickly the geothermal industry is growing internationally,” Ben Matek, the report’s author, said in a statement [PDF]. 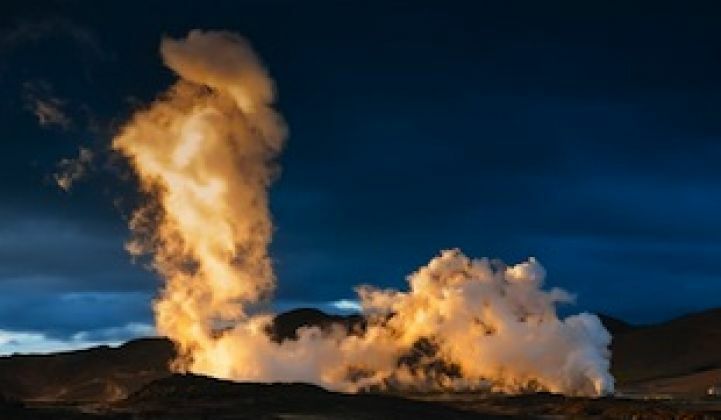 Uganda, France, Tanzania, Chile, and Rwanda were singled out as countries that should have their first operational geothermal power plants within the next few years. Elsewhere around the world, the country breaking through with new geothermal the fastest might be Kenya. Indonesia has almost 4,100 megawatts in the pipeline for development and 860 megawatts physically under construction. Indonesia ranks second for developing projects, with 57 projects in some phase of development. While no more plants are expected to come on-line this year in Indonesia, if all the plants are finished by their publicly announced completion dates, Indonesia could reach almost 2 gigawatts of installed capacity by 2018. In April, the U.S. Department of Energy said an Ormat Technologies EGS project that it backed with $5.4 million (to go along with $2.6 million in private-sector money) had boosted production at a Churchill County, Nevada geothermal field by 38 percent, pumping 1.7 megawatts of new power to the grid. The 2013 Geothermal Power: International Market Overview is available online as a 35-page PDF.